At last weeks Full Council EHDC agreed to keep Council Tax at the same level as last year . For 6 years now we have either cut or kept Council tax at the same level. Over the same period that is the equivalent of a £40 saving for every household. While we aren’t the biggest share of the Council Tax bill, for many families £40 a year is still an important sum. This though is not the biggest story. We have identified a further saving of £355,000 which, together with some reserves, we have used to form a £1,500,000 fund to create two post. Firstly a £1m fund for Community grants and the Second a £500,000 fund for welfare projects. In comparison last year our communities fund was just £50,000 and we had no Welfare fund. The £1.5m is also a significant sum when you consider our annual operational budget is just £11m. These funds which will be spread through the District with grant streams lasting up to 3 years will make a significant difference to charities and organisations supporting the most vulnerable people. Organisations wishing to apply should be aware that this is not just a cashpoint for free money – we will be looking for innovative ways to multiply the cash value with volunteer support, match funding and deliverable targets to make sure that between us and the other parties we deliver significant sums to the most needy. As the Finance Portfolio Holder I am proud to be part of an administration that is able to deliver a significant strategy such as this. (In comparison a 3% increase in Council Tax would generate just £195,000). We are bucking the national trend and plan to carry on doing so. In comparison HCC increased their share of Council Tax by 2.99% and the Police and Crime Commissioner 13.5% for a Band D house or £24 per home per year. The Police increase is to fund a larger number of police officers which is, in my opinion, a very good reason and I support the increase. Ok so this is a very important update about Aquind and covers a local consultation, updated details and information on how to give your views. The formal steps to a planning application have begun and now is the time to act. The first key item is that Aquind are holding a public consultation at Jubilee Hall in Horndean on Thursday 14th March between 16:00 and 20:00. 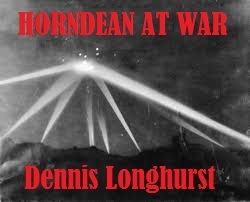 The full address is: Jubilee Hall, Crouch Lane, Horndean, PO8 9SU. There should be plenty of information for us to view as well as representatives of Aquind to ask questions from. If you can not make it to the consultation then Aquind have deposited a full set of their documents at Waterlooville, Horndean and Petersfield Libraries. The second is that Aquind have triggered a consultation process which will lead to a planning application. Significantly Aquind are looking to apply directly to the Secretary of State for permission to build, rather than the local planning authority. Their theory here is that the Secretary of State is more likely to give greater weight to the national interest of power security than local issues. The application also covers several local authorities so one view on the entire application is safer for them. They have to consult locally before applying and the results they gather will be used as part of the application. It is important to act now. For us in Horndean if allowed the project will have three major impacts. 1 – The highways works for the below ground cable installation which will be extensive. 2 – The construction works for the main sub-station which are likely to take several years. 3 – The long term visual impact of the new building. I would encourage you to give a two pronged response. The first saying if you support or object to the scheme, and the second emphasising how it may be mitigated if the Secretary of State decides to allow the application. Do not be limited by the tick box questions on the form. If you have views that go beyond the stated options then please give them on the form. Please keep your responses so that when the Secretary of State has the application you can re-submit the same comments there too. If approved then the longest term impact on the community will be the visual impact of the building and possibly electro-magnetic hum from the transformers. Limit construction activity to certain working hours (typically Monday to Friday 8am to 8pm, Saturday 9am to 1pm), Require a traffic management plan that minimises local impact, Require a specified amount of noise mitigation from the final scheme and more. 1 – Be sunken into the ground to 1m above the water table to minimise its effective height. 2 – The façade and roof must be constructed out of a green roof and green wall construction so as to minimise visual impact. The superstructure must be a curved / stepped back structure to have a broken up form which with the planting minimises its visual impact. 3 – A minimum of 30m of planting around the building including semi mature species of tree that will grow to the same height as the building. 4 – Noise attenuation is required to ensure that the building makes no measurable increase in noise over and above the existing substation. 5 – The green wall and roof, planting and noise attenuation must be maintained while the structure is in operation. 6 – The Developer must submit a traffic management plan to the Local planning Authority for agreement. 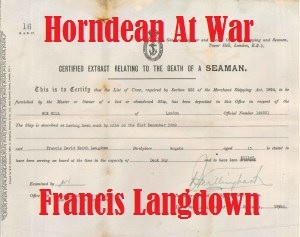 A very large number of residents in Horndean have received a consultation pack. If you have not then I have uploaded all of the consultation details here so you can view and respond. Aside from the consultation pack that Aquind have sent out, you can also give your views to Aquind on email at aquindconsultation@becg.com and freepost at ‘AQUIND CONSULTATION’. However you respond their cut off date is Monday 29th April 2019. Please note that Aquind ask for a name and address for whoever is giving their view – they may decide to ignore anonymous responses so it is important to give this to validate your response and also to receive updates from them. Please can you also copy your views into planningdev@easthants.gov.uk so EHDC can also monitor the responses and help to build our consultation reply. Image below – In January 2017 the consultation kept the option open for a location in EHDC (Option 1) and Winchester (Option 3). Aquind have advised they are moving forward with option 3 (Right below). Image below – Aquind Converter Station Plan. DO YOU HAVE A COUPLE OF HOURS A WEEK AND WANT TO WORK WITH A FAMILY WHO MAY BE STRUGGLING? We are running our next weekly Preparation Course to train volunteers to support families with at least one child under 5. Supervision and out of pocket expenses are provided. The only requirement is parenting experience. We are also keen to recruit fathers and grandfathers as well as parents from diverse ethnic backgrounds. 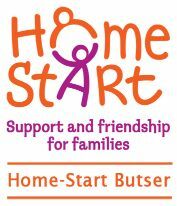 If you or anyone you know is interested, please call us on 01730 233755 or email office@homestart-butser.org.uk. More information can be found on our website http://www.homestart-butser.org.uk. Aquind have decided to run with the site in Winchester. This is closer to the South Downs national Park (who will certainly add weight to any comments on the environmental side) and being further away from the properties in Lovedean some small comfort but with a proposed building 22m to 26m high (subject to design) it is still going to be life changing for the local community there if it is allowed. At this point no planning application is in but with the project classified as a ‘project of National Significance’ it is considered by the Secretary of State, not the local planning authority. Aquind are progressing with their consultations locally and I am unaware of any on the local area but would like to make sure that everyone is aware of the one Aquind are holding in Denmead where the Parish Council have invited Aquind to their planning committee meeting on Wednesday 6th March at 7:30pm. The meeting will be at The Ashton Pavillion. 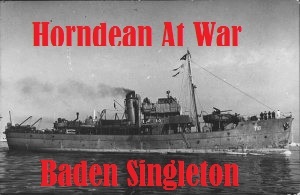 If I hear of one locally I will blog it here and have offered to Aquind to make a hall available locally to facilitate this. Every year the Local Councils (Parish, District, County) as well as Fire Brigade and the Police and Crime Commissioner review and update their budgets. EHDC is the local authority that collects and hands on the council tax on behalf of all of these organisations and tonight we are proposing to our membership a Nil increase for Council Tax. * The Police and Crime Commissioner has increased the Hampshire Constabulary precept by £2.00 per month per property or £24 per year. For a Band D property this is a 13.5% increase from £177.46 to £201.46 per year. For the last 6 years EHDC has either cut Council Tax or kept it at a Zero percent increase. Local Plan consultation continues – make your comment count! The Local Plan consultation continues on Saturday 23 February when our planning team visits Barton Hall, at Horndean Technology College. The consultation runs until Tuesday 19 March and will be touring the three parts of the district that are covered by East Hampshire District Council’s Local Plan – Alton and the northwest, Whitehill & Bordon and the southern parishes. Everyone attending will have the chance to comment on policies covering housing, employment, infrastructure and the environment. You can do this in writing by email or letter, but the easiest way is to submit comments online using the council’s website. Using this method will ensure your comment is matched with the area or policy you mean to refer to. It’s a big document and some comments can be lost if it is not clear what the author is commenting about. Sally and the team – which has grown to about 15 regular pickers – are back in action on Sunday 10th February meeting up again at Morrisons Car Park at 9:30. New faces are also welcome to join in!